For many of us in the West, things are starting to settle down now that the holidays and the festivities of the New Year are behind us. The normal routines of going back to work and school have now been in full swing for the most part. While there is no denying that many parts of Asia, as well as Asians around the world, will be celebrating one of the biggest annual events of the year, and it is just around the corner. The Chinese New Year will be celebrated this year on Feb. 19, 2015. Every year, the Chinese New Year corresponds to a date on the lunar calendar and is also associated with one of 12 animals of the Chinese Zodiac, as well as one of five elements (water, earth, fire, metal, and wood). 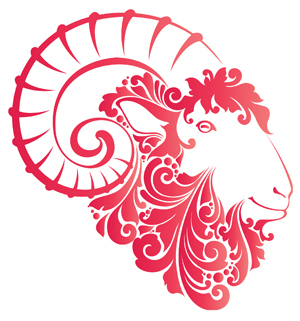 This year will be the year of the Wood Goat, also called the Ram or Sheep in some cultures. Each zodiac animal has certain characteristics, through which the year is viewed. The goat in particular is seen as a passive, loyal, sensitive, and peaceful creature. It is also an optimistic sign, with the associations of healing, creativity, and nurturing characteristics. These qualities are thought to influence the fortunes of those in the coming year. In addition to the 12 zodiac animals and five elements, Asian astrology also combines the factors of Yin Yang, lucky numbers, flowers, and colors. In order to know which elements and factors apply to you, often an astrologer will ask you about the details of your birth – basically the date and time of your birth as it falls on the lunar calendar. In countries throughout Asia and Southeast Asia, such as China, Japan, Korea, Vietnam, Thailand, and others, there will be celebrations involving fireworks, feasts, exchange of presents (such as money in characteristic red envelopes), and cultural dances. Considered a holiday, it would not be unusual to see people out of school and work to take part in these celebrations, as you would expect of the major winter holidays in the West. For instance, in my combined family of Chinese and Koreans, we have different but complementary Lunar New Year traditions. For both cultures, as with all the Asian countries, this is an important family holiday. The Korean part of my family gathers in the early morning, before the dawn to eat an elaborate meal together and also make offerings to our departed ancestors. The children are also given a small token in celebration of the New Year. The Chinese part of my family gathers in the evening and also shares a great meal together, careful not to do anything that would taint their luck in the New Year. As one would expect, there are some superstitions that accompany the New Year’s celebrations, such as not washing or cutting one’s hair on New Year’s Day. Doing so might cut short or wash away your luck in the New Year. Another is not sweeping or cleaning your house on New Year’s Day for much the same reason. Wearing red is also associated with New Year’s Day, as it is traditionally thought of as a lucky color. Another old tradition is not using knives or scissors on New Year’s Day, again as not to cut short your fortune. While many people do not actually believe in these taboos, there are many who follow them just in case. Sun Lee Chang can be reached at info@nwasianweekly.com.